Back world beating businesses with the benefits of EIS. Those who say that the Enterprise Investment Scheme (EIS) was virtually unaffected by the 2018 Budget should look again. While there were updates on items introduced in last year’s budget, it seems that very little directly touching EIS was really new this time around. Of course, the results of a consultation on the approved EIS fund structure were announced, with tweaks to focus it on Knowledge-Intensive Companies. There was also an update on the improvement in EIS advance assurance timelines. A one-third Business Rates discount for retail properties with rateable values below £51,000 for two years. Outplay Entertainment is a developer of free-to-play digital games and part of Oxford Capital’s Growth EIS portfolio. Since our first investment in 2014, it has grown its staff numbers from 54 to over 200 today. So a reduction in the Business Rates bill for their offices is certainly welcome. Bringing forward the increases in the personal allowance and the support for Universal Credit are likely to boost consumer spending. Moneybox is another Oxford Capital Growth EIS portfolio company. Moneybox’s mobile savings and investment app includes a ‘keep the change’ feature where everyday spending is rounded up to create a balance that can be automatically saved. Any additional spare cash from users could boost the £70 million Moneybox currently has under advisement from 125,000 investors. £150 million worth of fellowships (scholarships/funding to provide graduate or post-graduate students time to complete additional training or research) to attract talent to the UK. Red Sift became an Oxford Capital Growth EIS portfolio company in 2016. The company provides data analysis tools and has created OnDMARC, a cyber security product. Its team is a group of talented international technology experts. As it continues to expand it will appreciate access to a pool of the best talent, regardless of nationality. This shouldn’t really be a surprise. After all, SMEs have been widely accepted as the lifeblood of the UK economy. Philip Hammond is committing to “the challenge of supporting companies with the potential to become global leaders” (Small Business Equity Tracker 2018, British Business Bank). And so can your clients. Investing into EIS-qualifying companies gives early access to their growth potential, along with the generous income tax, capital gains tax and loss reliefs designed to offset some of the risks associated with investing in fledgling businesses. Oxford Capital’s ventures strategy identifies young, technology-focused companies with the potential to become world-beating businesses. And they benefit from our business expertise and ongoing backing as milestones of success are met and surpassed. 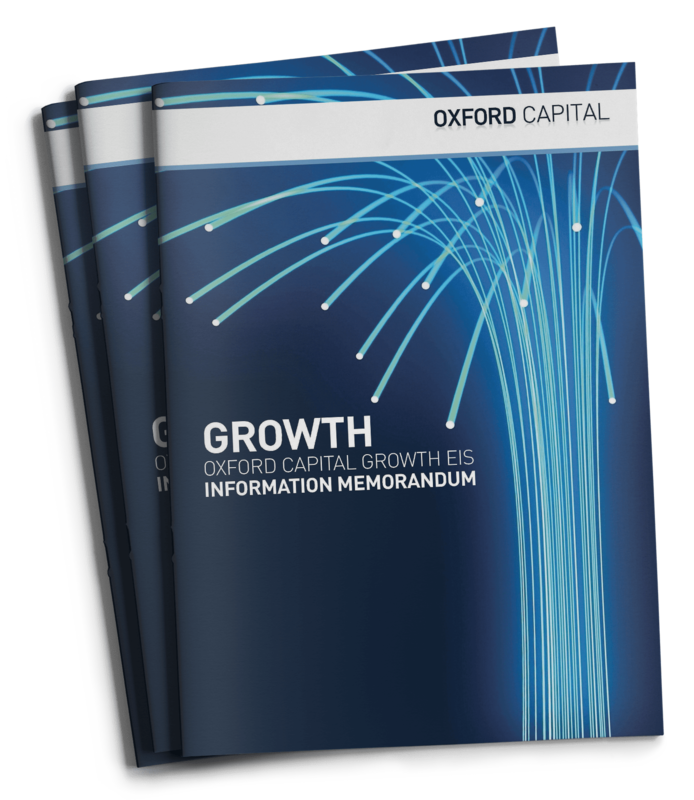 For more information about Oxford Capital’s ventures strategy, click here. ← Techcrunch: Agrifood – the $8 trillion industry that’s worth it’s salt.